Longing to enhance your search rankings? Here, lists of advanced SEO techniques are given so you can win your competitors. Today’s SEO world is full and fully dynamic. In order to stay on the top of the SERP, constant adaptability and improvisation is more needed. Starting from the content to the back-links and the keywords, metrics are required. Similarly, app store optimization also proves to be an effective method to enhance your profit. 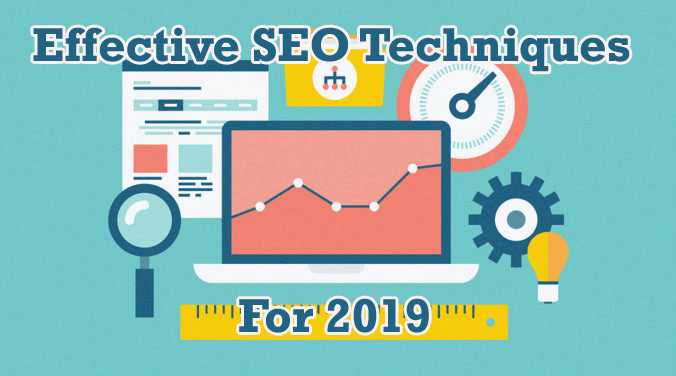 Some of the best SEO techniques are given below in order to enhance the search rankings in the year 2019. From a long back, the SEO experts have concentrated more on the quality of the content. It is also one of the important factors to enhance the search rankings. There is no chance to completely ignore the content length. In order to cover a particular topic, one can go for the better search rankings. At the same time, to understand the relation between the length of the content and also its rankings, the Backlinko conducted a study process. The overall analyzing took over one million searches and on an average, there were nearly two thousand words. The SEO technique will not guarantee any success and at any point do not expect any longer posts to enhance your post in the field of the search rankings. There should be a complete balance between the quality and the quantity for the concerned SEO technique to work well in an organized manner. The SEO rankings are not only the keywords and it is more than that. In other words, we can say that it is more than our expectations. Here there are two possible scenarios. One may continue reading the article and another one to leave the website right away. In order to improve the search rankings, one needs to ensure that the folks are spending more time on the concerned website. One of the simplest ways is to write more and more articles. By using one of the oldest tricks of the trade, you can attract more readers. Recently, Google announced many changes to the concerned algorithm. Updating the article is a must and you cannot say no for it. Instead of writing a new article, it will be better to add more data to the existing article. Then, it is mandatory to update the headline to the latest trends and also enhance the copy in order to make it more SEO friendlier one. SEO technique is one of the best ways to come up with more data in a shorter period of time. There are better chances to reach the peak in the search results. In case if a website is integrated with the higher Domain Authority links back to the website, then the credibility enhances automatically. These backlinks help to win the competitors and also they are more or less equal to the reliability. If you have more quality backlinks, then you are likely to get higher rankings in the Search Engine Result Page and also it is one of the essential techniques that can directly affect the website’s grade. Before finalizing of the blog post, take sufficient time to match the relevant keywords. It is one of the important ways to examine what people are searching for. At the same time, you can also make the necessary changes to the content in order to match the needs of the readers. In case if you are using the right keywords, then you can have a better way of driving the force of the higher rankings. For the conduction of the research process of keywords, SEO tools such as the KWfinder, Moz Keyword Explorer can be used. In order to enhance the search result, the algorithm known to be the Rank Brain is used. This algorithm breaks down the query into the segment of word vectors and also it helps to fetch a list of relevant results. On the other side of the flip, the result can be altered for the second query too. A few queries should be asked before devising the SEO strategy. The two major concepts are Understanding and adaptability. Have a view for the posts which have become popular and also read the comments on the posts. In order to get the earlier feedback, the Quora, Google Analytics and the Kick starter can be used. One of the best ways to improve the Search Engine strategy is to analyze the website. Then identify the areas where the improvement is needed in a huge manner.